News business is constantly being disrupted everywhere due to evolving media technologies. Cambodia, for the past few years, has experienced this trend, moving from a country heavily relying on traditional media such as radio and television – for scheduled, mostly dubbed and one-way news updates – to a country that sees a sharp increase annually in the adoption rate of the Internet and embraces the power of social media, notably Facebook, as a primary platform to share information and to put forward and discuss social and political issues and concerns. The shift to online presents opportunities for news publishers and broadcasters to innovate themselves and find new sources of revenue. Only a small number of them, however, have been exploring the online model as a side project to their main focus in either print or broadcast. The future of news is online with instant updates of stories – a model that takes full advantage of social media and mobile. This means news organizations, existing or to-be-created, will enjoy a highly potential online market in Cambodia and will need to pick up new knowledge and skills to best implement their online operation. Online strategies for news businesses have been front and center in the media literature, and have been extensively studied and published. Yet, another key insight is the understanding of the audiences. This study aims to conduct an applied research exploring the online news consumption behaviors of Internet users in Cambodia. The variables include their habits, characteristics and preferences in reading online news. The year 2013 marks the biggest transformation of media landscape in Cambodia. Like in most countries, digital technologies, particularly mobile and the Internet, play the forefront role in this media remodeling. Today, the most influential platform for information sharing is social media. Facebook, Twitter and YouTube have become better alternatives, if not substitutions, to traditional – mainly government-censored – media known as print, radio and television. This major change in information communication owes to a radically sharp increase in access to affordable Internet and smart devices like phones and tablets. As of 2015, one-third of Cambodia’s 15 million population are connected online – a growth from 3.8 million at the end of December 2013, and from 2.7 million at the end of December 2012. However, the data show that mobile is overwhelmingly driving the traffic with 98.67 percent of Internet subscriptions come from mobile devices such as iPhones and iPads. Social media have certain unique functions traditional media lack. More than a communication tool, they allow users to receive news and information more quickly, engage in information sharing and exchange, name and shame acts of violation, and receive feedback and comments in real time through posting, sharing, liking and commenting. Mobile devices also have unique characteristics. People use mobile to take advantage of the downtime that they have between things. They’re looking for distractions, whether they’re standing in a line or waiting between meetings. This basically means people like to dip into social media and other content platforms via their mobile devices for a short period of time, albeit very frequently, throughout the day. Cambodian mobile and social media users are not alien to these new behaviors. The Internet demographic is rather young with a majority aged under 25, and these young media consumers are accustomed to engagingly sharing and consuming news and information in real time via their smartphones and computers connected to the Internet and social media. In fact, they do not have the patience – due to the convenience of mobile and social media – to wait for scheduled content normally offered by traditional media like print, radio and television anymore. Professional news industry is unavoidably being disrupted due to these emerging media trends while its relevancy is still critically significant. Cambodian contemporary society may rely on social media for news and information, but “Cambodian citizens expect the media [professional news outlets] to act as their eyes and ears, investigating issues and problems that are important for the people to know about,” said U.S. Ambassador to Cambodia, William E. Todd. There is a demand for news organizations to invest in finding effective ways to deliver their content that best fits the audiences’ behaviors in the new media landscape. News needs to be online and instant. As of 2012, there are 30 registered – approximately 300 unregistered ­more – daily newspapers in Cambodia and only 11 television channels. Radio stations are counted in total at 160 in 2013. Only several of these publishers and broadcasters have shown investments in online medium in addition to their primarily focus on print and broadcast. Given the fact that the number of Internet users keeps rising dramatically from year to year, online news is becoming an attractive venture. There are simply not enough supplies of quality news products ­– text, audio and video – online for the growing online audiences. To take advantage of this opportunity, existing and future news organizations must understand the online media nature and infrastructure. Countless studies have been trying to explore effective strategies to build online news, including website development, social media implementation, mobile integration, and so on. What missing is the study on Cambodian online news audiences. 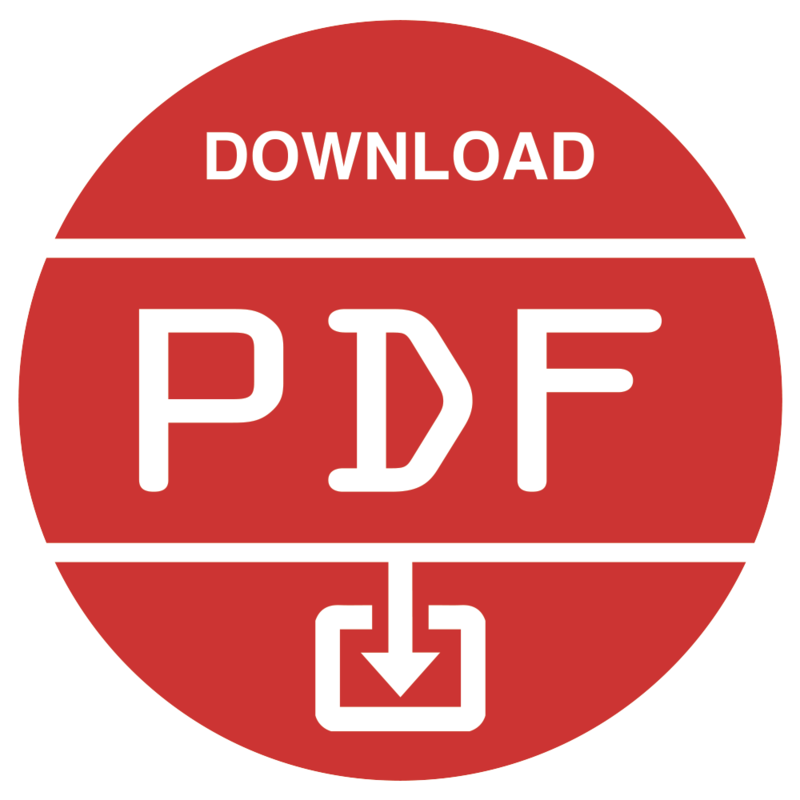 This applied research examines the online news consumption behaviors of Internet users in Cambodia. 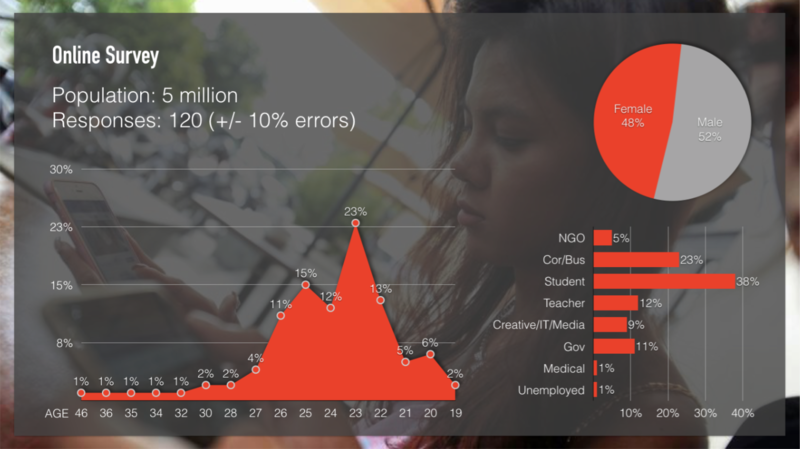 It aims to produce a report consisting of habits, characteristics and preferences of online news audiences in Cambodia. This report will be a helpful guideline for both existing online news organizations and inspiring editors and journalists who are interested in starting their own online news ventures in Cambodia. The objective of this study is to explore online news consumption behaviors of audiences in Cambodia. The following research questions are the guideline to achieve this study objective. Is there a need for a better-implemented online news website in Cambodia’s online news landscape? What subjects of online news content are the audiences in Cambodia most interested in? What are the best strategies to build an online news website, looking at media platforms, languages, and content presentation? The study utilizes the quantitative research method using online survey to collect data. All Internet users in Cambodia are the population of this research, which is around 5 million; therefore, the sample size should be at least 100 to achieve +/- 10 percent margin of errors. Online survey works best in this situation as it is fast, low-cost, and bound for big sample size and high response rate. The questionnaire (Appendix) will be ported into the online survey software “Qualtrics”, and then distributed to Internet users in Cambodia via social media and email. The number of responses successfully collected is 120, which is well above the expected quota, so the sample is representative of the population with a +/- 10 percent confidence interval. Figure 1: Gender, Age and Occupation of Online News Consumers in Cambodia. Cambodian population is rather young, and it is also reflected in the finding among online news readers. Around 95 percent of online news readers in Cambodia are under 30 years old with the majority aged 23 at 23 percent of the all the respondents. Gender-wise, male and female online news readers are relatively equal with the former at 52 percent and the latter at 48 percent. Regarding occupation, student is most common at 38 percent, followed by corporate employees and business owners at 23 percent. The two dominant groups of occupants represent the young workforce in the country, and online news organizations need to understand the nature of these young audiences they are serving. Figure 2: Satisfaction over Online News Outlets. The first research question asks: Is there a need for a better-implemented online news website in Cambodia’s online news landscape? 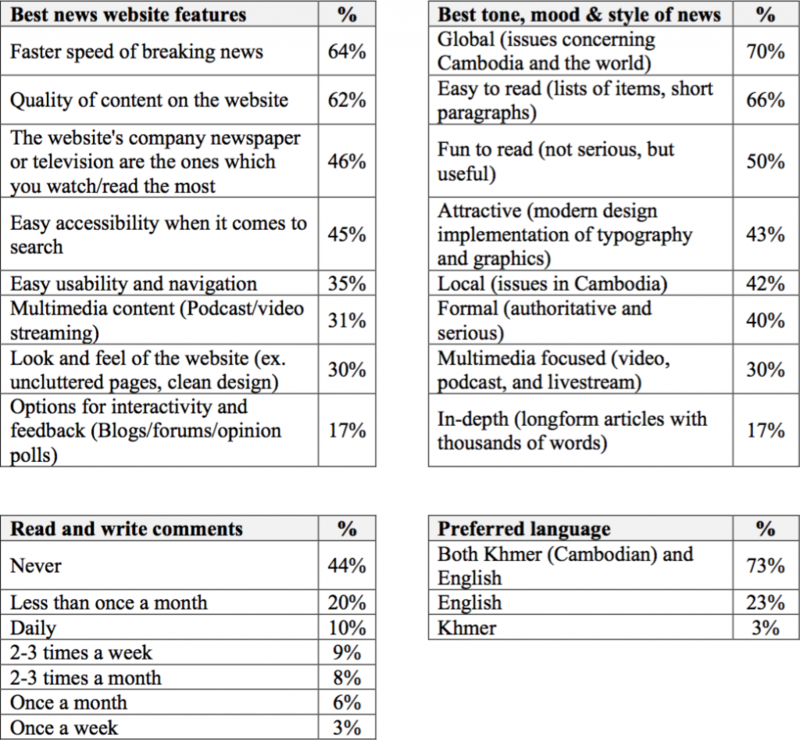 One variable in the questionnaire answers this question, seeking how satisfied Cambodian audience members are with existing online news outlets in Cambodia. According to Figure 2, only three percent of all respondents are highly satisfied and 23 percent are fairly satisfied with existing online news outlets in Cambodia. The numbers indicate more than one-thirds of all news readers find their online news consumption of local outlets below satisfaction. 15 percent of them even say that they are not satisfied at all, meaning more than 3 out of 20 people are desperately looking to see better-performing online news publishers. Overall, there is clearly a need for a better-implemented online news website in Cambodia as 70 percent of the audience members find currently operating online news organizations below satisfaction. It, thus, also suggests that there is still a lot of room for improvement for these existing news outlets. Table 1: List of News Subjects. The second research question asks: What subjects of online news content are the audiences in Cambodia most interested in? This is a straightforward question and the survey shows that skills development is the most desired subject of news content. This perfectly corresponds with the fact that the majority of the young audiences are students, corporate workers and business owners. The second most desired subject is social issues, which include security, education, orders, morality, economic classes, health, and so on. Technology, science, travel, food and business are proceeding popular subjects among the audience members as these subjects are more of entertainment content. The young audience members – particularly young citizens (half under 23) – are certainly enjoying development and modern facilities in the gradually glowing economy of Cambodia, thus also finding entertainment content appealing. As presented in Table 1, sport is the less favorite subject, reflecting underdeveloped sport sector in the country. Table 2: Media Platforms of News Consumption. Table 3: Online Platforms of News Consumption. The third research question asks: What are the best strategies to build an online news website, looking at media platforms, content languages, and content presentation? In terms of news platforms, while all respondents read online news, 26 percent of them also watch news on television, 20 percent read print newspapers, and 18 percent listen to news programs on radio at least once a day. Among all online news audience members, 79 percent access news using Internet browsers, both desktop and mobile, while 59 percent consume news via mobile apps once a day or more. Table 2 reveals the frequency of Cambodia news audiences consuming news on multiple platforms such as Internet browsers, mobile app, television, print newspaper and radio. In Table 3 where all online platforms for news consumption are displayed, getting links to news on social media websites is the most popular – almost always – way audience members access online news. This means social media channels, especially Facebook, play a crucial role in connecting Internet users in Cambodia with online news from various websites. On that account, news organizations should invest in exploring and even implementing the latest online publishing trend known as “distributed content,” where social media channels hosts news content from publishers directly on their database. SnapChat was the first to introduce this concept with its feature “Discover.” Later, Facebook followed with “Instant Articles” (Alpert & Marshall, 2015). Distributed content is designed to provide the best news consumption experience on mobile. Since audience members are always on social media apps, it makes perfect sense to provide news directly in those apps. Distributed content promises the best speed and user experience that traditional websites cannot match. Cambodian audiences can surely benefit from distributed content platform as they are always using Facebook on their mobile phones. Table 4 presents four categories of strategies for online news organizations to tailor their news operation to the preferences of Cambodian online news audiences. More than 60 percent of the respondents consider two features – fast speed of breaking news and quality of news – as most important for good online news websites. However, only 17 percent of them think options for interactivity and feedback such as comment, forum, and opinion poll are necessary. This explains why nearly half of them never read and write comments on any online news articles. Regarding tone, mood and style of news, Cambodian audiences tend to favor short, easy to read news pieces about Cambodia that has global angles. 40 to 50 percent of them would also like to have news that is local, formal, well-presented with good design of graphic and typography, and fun to read. Most of them do not prefer in-depth, longform type of news coverage. Table 4: Key Strategies for Online News Organization. Lastly, 73 percent of the respondents want news websites to have dual-language operation with both Khmer (Cambodian) and English. Surprisingly, only three percent demand Khmer-only websites, while the other 23 percent would be happy with just English-only ones. Online news audiences in Cambodia are rather young as 90 percent of them are under 30 years old. This is a key factor when it comes to understanding their habits and preferences of online news consumption. At their age, they are mostly students, corporate employees and business owners who like to consume news content related to skills development and social issues that are somehow featured with global angles. They primarily live on social media and mobile, so news needs to be designed to fit these platforms. News has to be short, precise, and fun to read while being formal, authoritative and high-quality is necessary. As social media and mobile are the predominant platforms, news organizations are encouraged to explore “distributed content” feature, especially Facebook’s Instant Articles. Engagement wise, these young consumers of online news do not possess the patience to read in-depth, longform type of news content. Also, nearly half of them never read or write comments on news articles. It is an exciting opportunity for news organizations to serve the young audiences in Cambodia. These individuals are the future of the country, and it is certainly noble to have them be well informed by reliable news outlets about issues vital for the development of themselves and Cambodia.